Established in 1935, the GÜLERYÜZ companies have earned their well respected position in the commerce of industrial equipment. During the 50's, 60's and 80's GÜLERYÜZ companies were the first importer of many different electrical home appliances and the first manufacturer of air conditioners in the history of Turkey, until they moved to the foodservice industry and thus started servicing hotels, restaurants, coffee shops, fast-food chains, catering companies and supermarkets and became a key foodservice equipment distributor in Turkey. 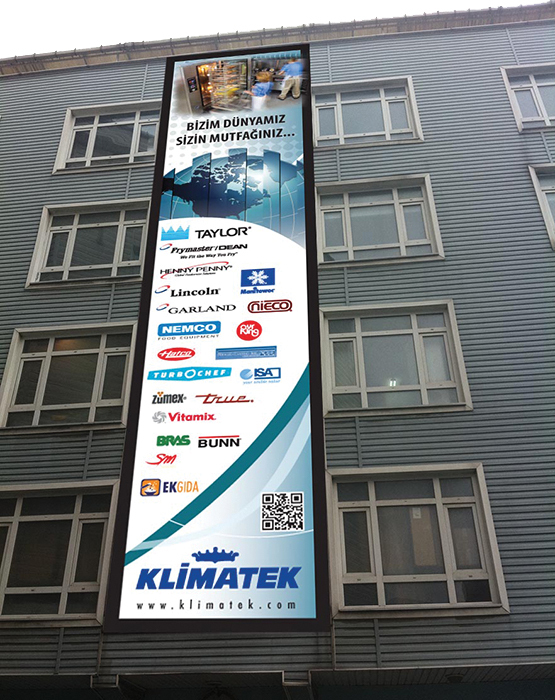 From the start, Klimatek joined forces with the world’s leading manufacturers in the business and still continues to represent them exclusively in Turkey. As a core company belief, we as Klimatek know that to succeed in the foodservice arena we need to offer our customers the best and highest quality equipment in the market with the best customer support – from the first point of contact through the life line of the equipment. Hence over the years Klimatek has become the exclusive distributor of over 20 world leading, award winning food equipment brands. Which makes us one of the rare foodservice companies in the world to have such a large and important portfolio. Thanks to our extraordinary network of global partners we get to offer our customers the knowledge, R&D, and technical service of countless companies. In an age where knowledge and information are key to keep you ahead of the trends, we not only give you our local team of experts but a global network of consultants ready to help. With over 80 years of experience in our market we have accumulated extensive knowledge, unmeasurable experience and expertise in our field which gives us an incomparable advantage to always keep you a couple steps ahead. Klimatek is a partner you can rely on. We will work to provide you the equipment and ideas you need to continuously advance the potential and profitability of your operation. We pride ourselves on delivering personalized solutions from project development, consultations, demos to outstanding post-purchase support like operational training, maintenance, customer support and service. Highly respected companies who care about quality, safety, hygiene and efficiency always partner with Corporations who have proven their excellence through superior quality of service and unparalleled experience. We are proud to say that our Corporation has enjoyed and continues to enjoy the business of such companies and we hope to see you in our list of references in the very near future. We are always ready to be at your service, to always keep you ahead of upcoming trends so that you could also be leaders in your field and concentrate on everything else that needs your attention to grow your business and make more profit, but for your equipment you do not need to worry we have got that covered!